I seriously can't seem to stop making soup. I hadn't made it in years, and once I got started, my family loved it so much that I'm happily making it quite often. It seems that the heartiness of those onions, carrots and garlic that are the beginnings of so many soups, are actually quite comforting on a cool Fall day in the kitchen. 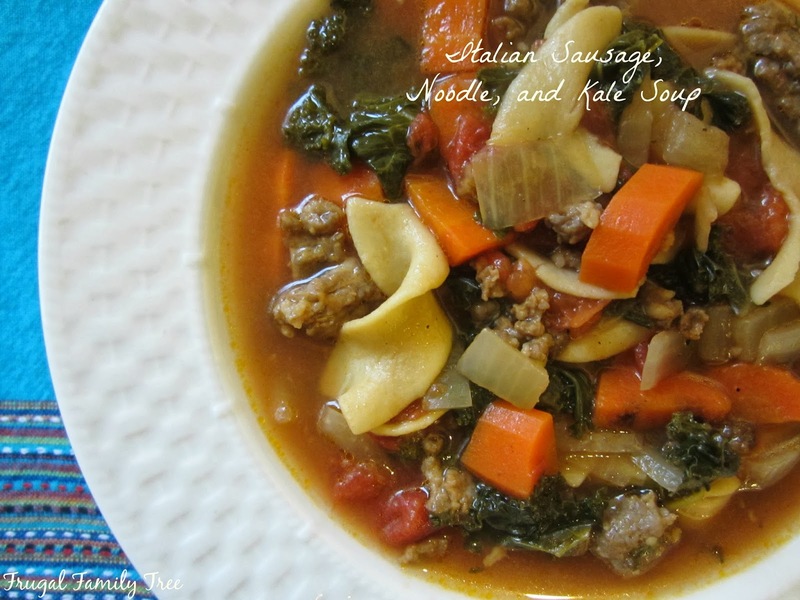 I could eat Italian sausage for breakfast, lunch and dinner, that's how much I love it. 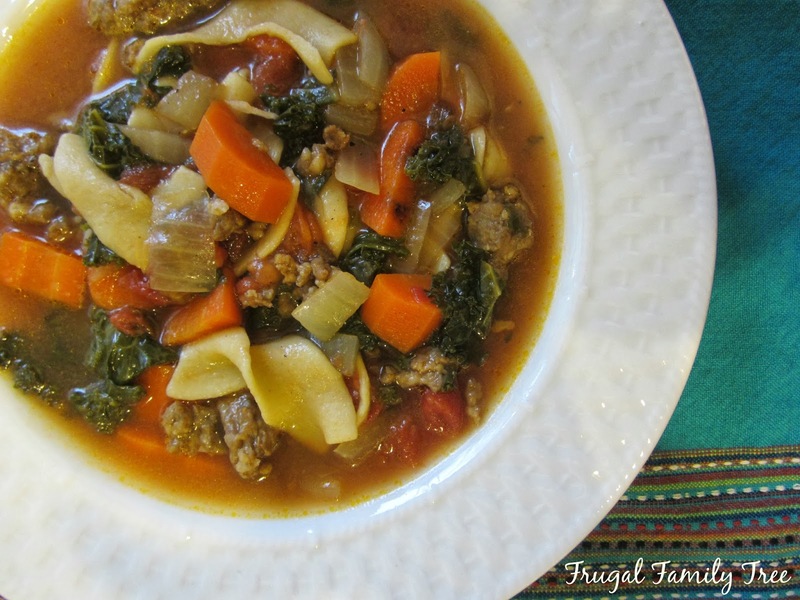 It's quite delicious in this soup, and the kale adds a healthy boost to it. I shied away from kale for a long time, but now I'm a big, big fan. 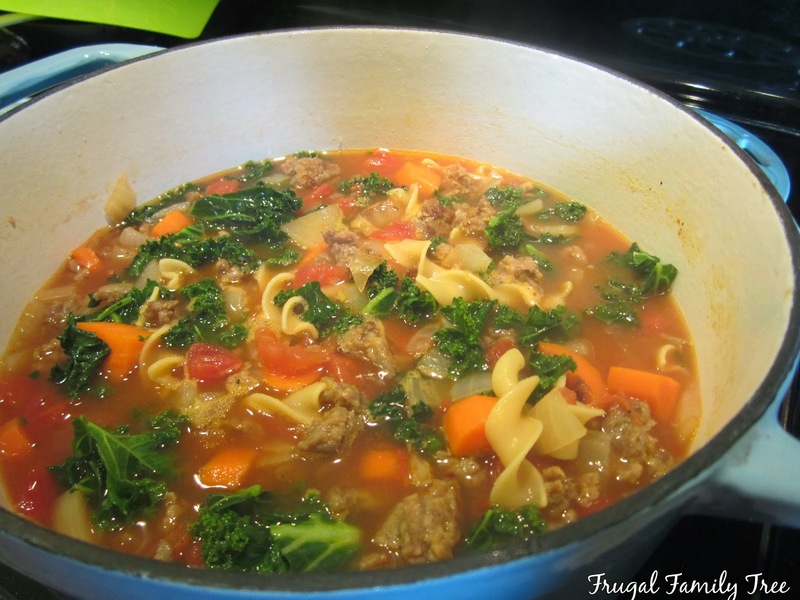 It adds texture and heartiness to so many dishes, and it is just so good for you. Heat 1 tablespoon of olive oil in a large, heavy pan. Break up and cook sausage through. 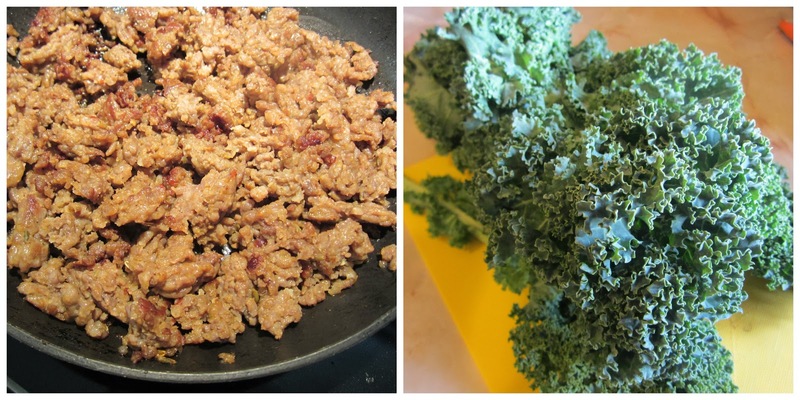 Stir in the cooked sausage, kale, and tomatoes, cooking until completely heated through. Simmer for 15 minutes. Remove from heat, and serve with sprinkled parsley on top. Serves 4 dinner size portions.